I was invited to the Westin Palace Milan to taste the cuisine of Claudio Truzzi, the guest chef of Hostaria del Teatro a Castiglione from Stiviere (MN). 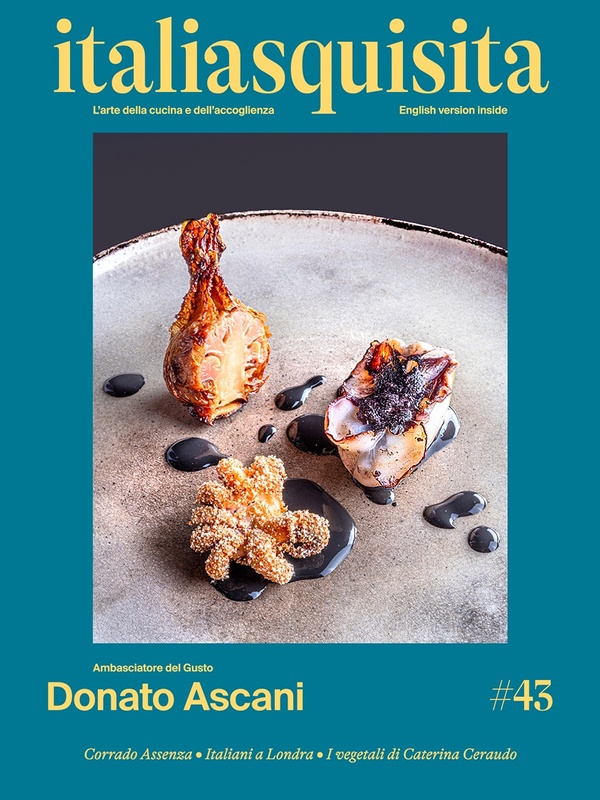 A happy tasting ménage sponsored by Cucina Gourmet magazine of the educated and smiling Chiara Mojana and the wild (in the enthusiasm and taste) Carlo Vischi, Gribaudo Publisher - Il Gusto. The aristocratic atmosphere of luxury hotels, but the friendliness and exuberance of the chef restore immediately the distance of the formalities. The interesting Garda alcohol of the Agricola Zuliani and of Cantrina has further emphasized the moment. Here are the culinary creations. The chef of the house Westin Palace, Augusto Tombolato, opens the gastronomic mazurka with an excellent seared carpaccio of veal with cherry parfait of goose, yogurt sauce and black truffle. Then plays the illustrious guest of the evening, Claudio Truzzi: first an eclectic Tonnato Inverso, revisiting the traditional plate with a scallop of bluefin tuna with crust of poppy seeds and veal sauce . Elegant and with personality. The risotto with pumpkin, Gargnano lemon peels and shrimps the most exclusive dish: citrus so entrancing, mixture of Mantua chromosomes (pumpkin and vialone nano rice) with the flavors of carapace Trapani.A gastronomic journey from North to South of Italy, at every bite! The Lomo cod Grilled with braised onions with tomatoes is a trap for gourmet: seems immersed in butter, but it is the sour of vinegar and sugar to change the sensory structure. The return of Augusto Tombolato finally provides a super summer dessert: Watermelon parfait with drops of dark chocolate on a cream scented with mint. Cleanness and freshness in the hotness of Milan for us to drink. Great night, thanks to the bubbles Garda Rosé Spink and to a phenomenal Benaco Bresciano IGT White Rine 2007. Claudio Truzzi smile and make us smile, but the real star that smiles is the future of this young chef and his Hostaria del Teatro (Ordanino Street, 5 / B, Castiglione Stiviere. Tel 0376 670 813).